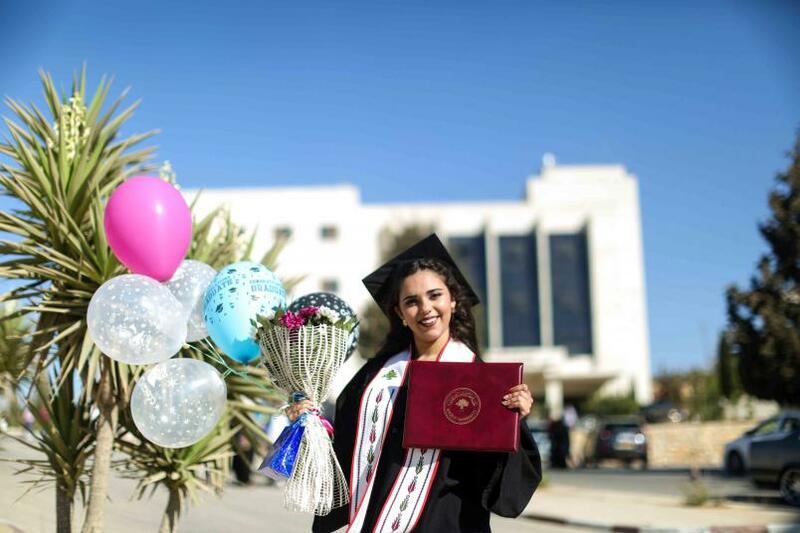 Birzeit University graduated on September 7, 2017, the last batch of students from the 42nd cohort. 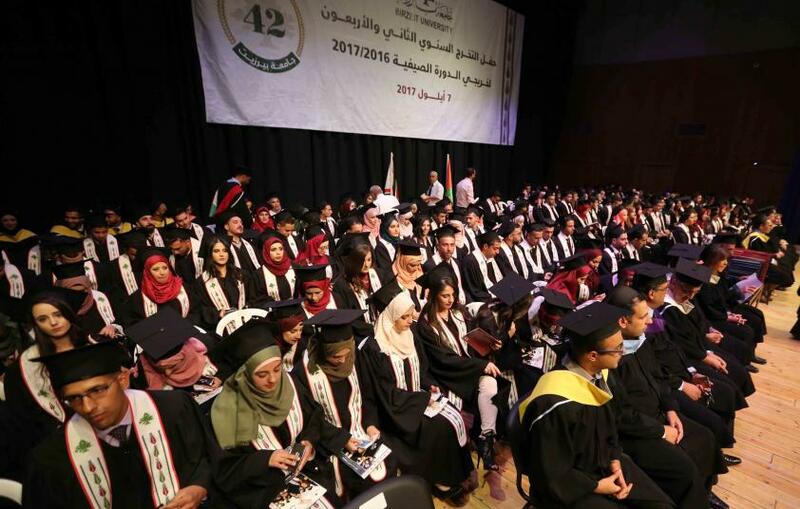 The University celebrated the graduation of 220 students, who fulfilled their graduation requirements at the summer course of the academic year 2016/2017. 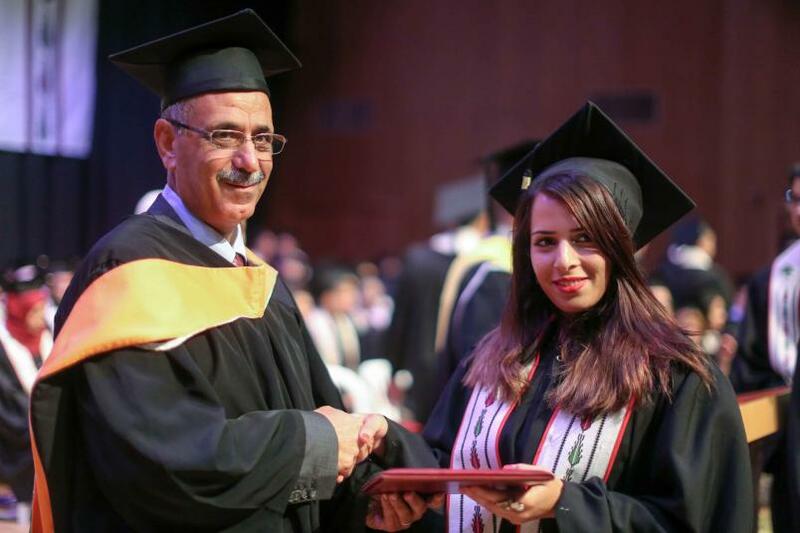 Vice President for Academic Affairs Faisal Awadallah, members from the University Council, faculty members, staff and the students’ families attended the ceremony. 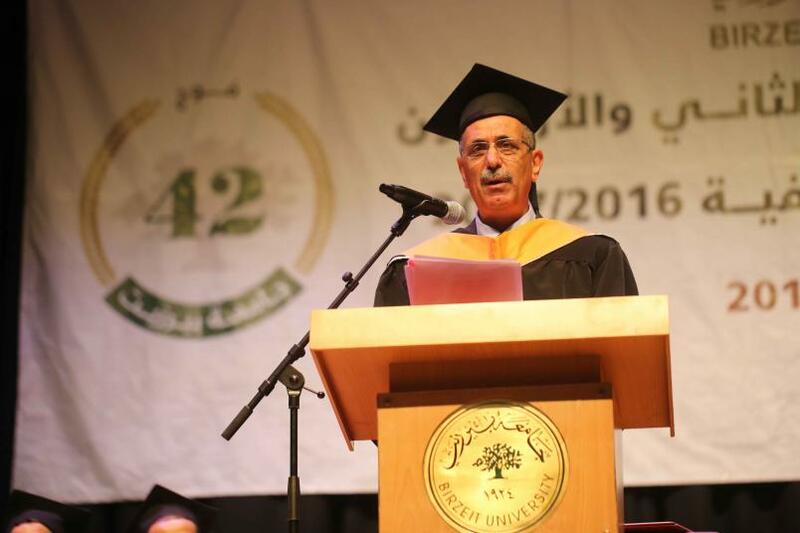 The Vice President talked about the latest academic progresses at Birzeit. 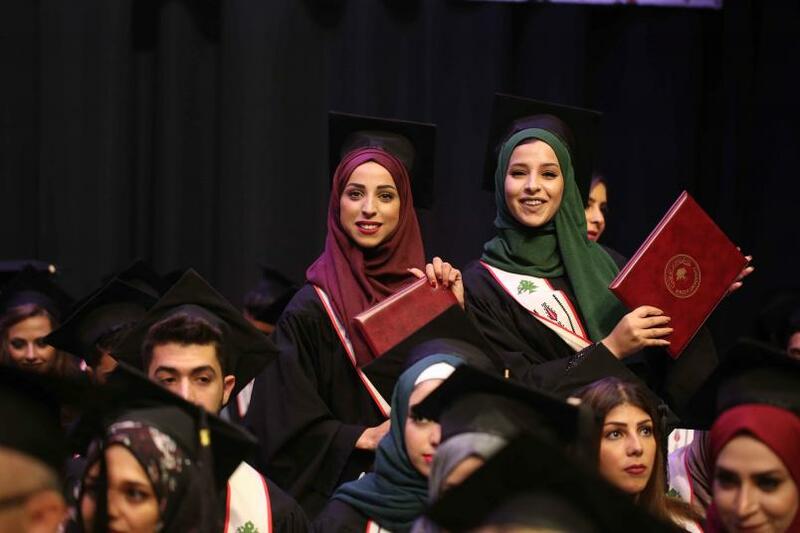 “Throughout the University’s journey, we have been committed in developing new academic programs that aims to achieve high-quality of higher-education and excellence. He pointed out that the university will be launching new contemporary programs that will foster the growth of learning in the field of creativity and entrepreneurship. 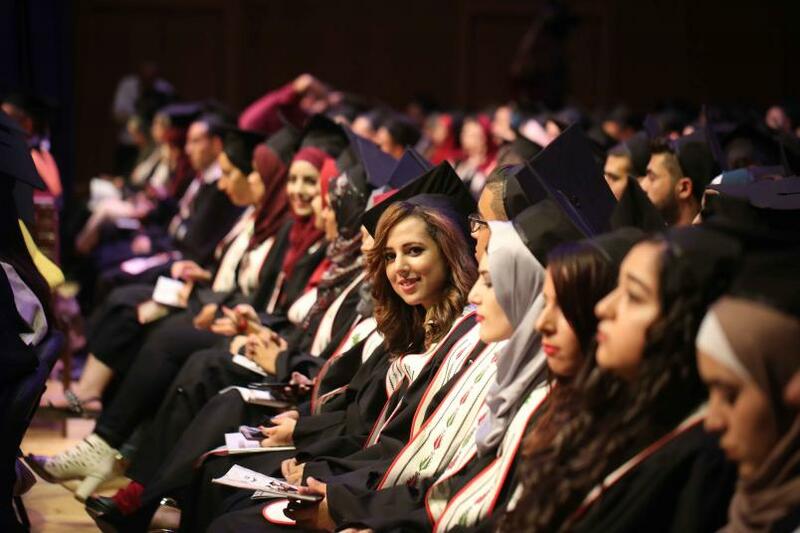 Awadallah alluded to the recent achievement that the university has accomplished in the Quacquarelli Symonds Ranking. ”For the first time, the university has been listed in the 14th edition of the QS World University Rankings. Chosen among 26 thousand universities in the world, the University was among 3% of the best universities in the world." Accounting student Johnny Elias, delivered a speech on behalf of the graduates, in which he underscored the social life, skills and knowledge he gained from the university. Graduates’ were handed their certificates after they professed their commitment to the graduates’ oath, which was read by Awadallah.